Repairing or replacing a roof is a downright risky and tedious job which is definitely not the cup of tea of a layman. Opting for professionals for problems related to existing roof or for replacement, works as a time saving and ideal option. It is better to spend a little bit on hiring professionals rather than ‘trying’ to fix the roof yourself as these trial and error methods are not only a waste of time but also a waste of money. 1. Expertise and Experience: Today, people have thousands other jobs to do than to waste time in learning different techniques of roof repairing. Apart from this, the advancement in technology has made roof repair more sophisticated. Thus, it is best to leave this job to the professionals who possess expertise and required experience in handling different roofing problems. 2. Money saving: Without any practical knowledge and information of roof repairing, it is impossible to try repairing it yourself and the result of which is such that you spend more than you save. 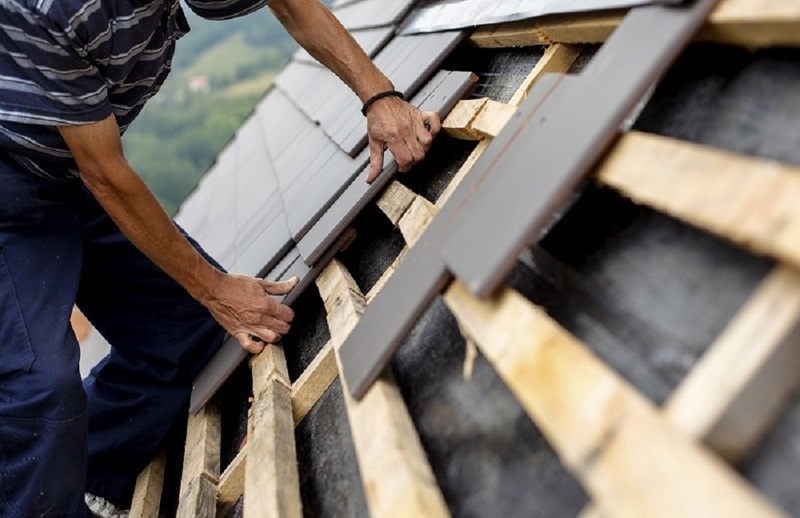 Handing over such job to an experienced professional is a good decision, as they work on repair according to the requirements keeping in mind the different types, materials and techniques used in roof repairing. 3. Safe and Protective: The task of roof repairing is exposing oneself to accidents. People’s main focus is towards the process of roof repairing but on the other hand they neglect their surroundings and are not aware of the dangers this can cause. Factors like misbalance, slipping or tripping can cause major and life time injuries to any person. Roofers are well trained for the work of roof repair and have the experience to play it safe. 4. Quality of Material to be used: The professionals have knowledge of different roofing materials, who ensure that only quality materials are used for repair or replacement. This means the roof lasts for a longer period of time. Choosing a specific contractor for the roofing problem should not be taken lightly. There are various factors to be taken into consideration so that you are offered quality services and products. Insurance and License: Insurance and licenses are the two major factors to be taken into consideration while making the choice of a roofers. This saves you from the risks involved in the work of roof repair. 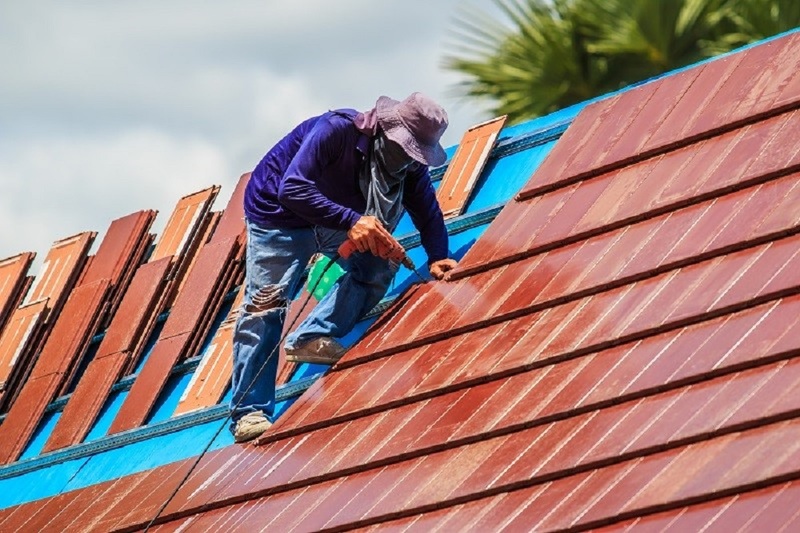 A licensed and experienced roofing contractor has knowledge about the different roof repairs and carries out the work in a systematic and organized manner. Insurance factor can work as a savior in case of on-site injuries. Types of Services offered: Different contractors offer different services. You need to ensure that the contractor chosen by you fulfills all your requirement without any problem. Make sure that you clearly specify this thing to your roofing contractor before you sign a contract or close the deal. Quick Response: Make sure that you look out for such a roofing contractor who gives due importance to emergencies and this also needs to be mentioned in writing so that you do not have to worry with any roofing emergencies in future. This ensures that all you need to do is to make a phone call which is sufficient to sort out your roof problem. Payment: Besides considering the above-mentioned factors, you also need to make sure that you do not make the complete payment till the contractor finalize your roof work. Make sure that you make the full payment to the contractor only o upon the completion of your roof work. There are multiple roofing companies listed online. Making a research will be easy and fruitful as you can get the complete information you require and also don’t forget to read the reviews and ratings which makes it simpler for you to choose the best amongst several.